Parul Aneja is one of Indianapolis’s fashion designers to remember. Specializing in wedding gowns, cocktail dresses, prom and evening wear for women, her integrated influences of her hometown New Delhi, India makes Parul Aneja a unique fashion gem in the Midwest. A career in fashion and style came naturally for Parul. With the support of friends and family Parul began building a foundation in education. She received degrees from the National Institute of Fashion Design in New Dehli for fashion design and from Dehli University for commerce. 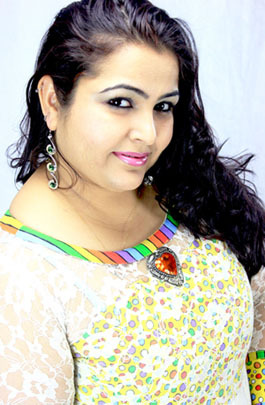 Parul has participated in numerous fashion showcases and has received many fashion design awards. In 2003, Parul received the Best Creative Designer Award presented by the National Institute of Fashion Design at Taj Palace Hotel in New Delhi. For nearly three years in New Dehli, Parul owned and operated a workshop designing Indian/Indo-Western outfits for retailers. Since the inception of her clothing line, Parul has designed women’s outfits for a wide range of clients from individual fashion enthusiasts to design houses in New Delhi and in Kuwait. Parul’s warm enthusiastic personality and her experience in various social circles is reflected in her designs. Providing quality fabrics, uniqueness, elegance, refined lines with embellishments and embroideries of intricate workmanship, Parul Aneja defies design concepts and style of eastern and western cultures. She was featured during Midwest Fashion Week in September 2012 and is debuting her Fall/Winter 2013 collection during New York Fashion Week at Emerge! Runway Show- the most popular and anticipated showcase for emerging designers during New York Fashion Week. “The only way that we can live, is if we grow. The only way that we can grow is if we change. The only way that we can change is if we learn. The only way we can learn is if we are exposed. And the only way that we can become exposed is if we throw ourselves out into the open. Do it. Throw yourself.” - C. JoyBell C.